Are you looking for a personal training program that works for you? Do you struggle with keeping up with an exercise routine? Are big box gyms just not for you? Then Mind & Body Fitness is where you should go. 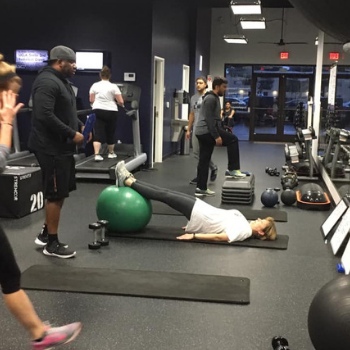 We’re unlike your usual fitness facility, our trainers are dedicated to creating customized workout and nutritional plans with your goals in mind. Our training sessions are designed with your busy schedule in mind, meaning we won’t waste any precious moments of your workout time. We get right into it each and every time so that you get the most effective workout, helping you see and feel the results. Regardless of your age, goals, limitations, and capabilities, we will create a training program unique for you. *Limited time offer with limited supply. Only valid for new clients. Available at Plano and McKinney location.